BRYAN EATON/Staff photo. 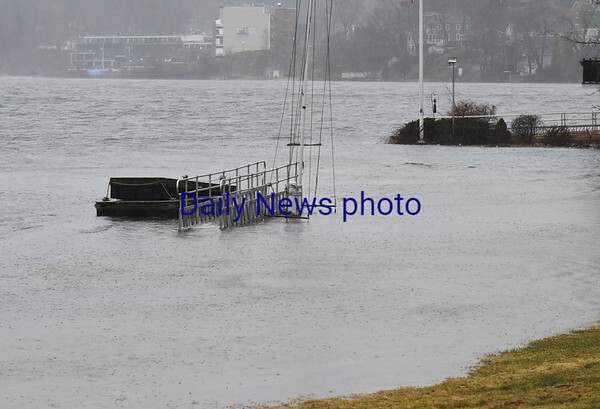 The Merrimack RIver overflowed some on Main Street on Amesbury's Point Shore. The high water mark from the flood of 1938 is a black marker halfway up the flagpole.